This yummy chocolate peanut butter snack looked so cute with spring colors peeking out. When opening the box we smelled peanut butter right away. The pastel colored chocolates are good. I liked the taste – similar to brand name candies. 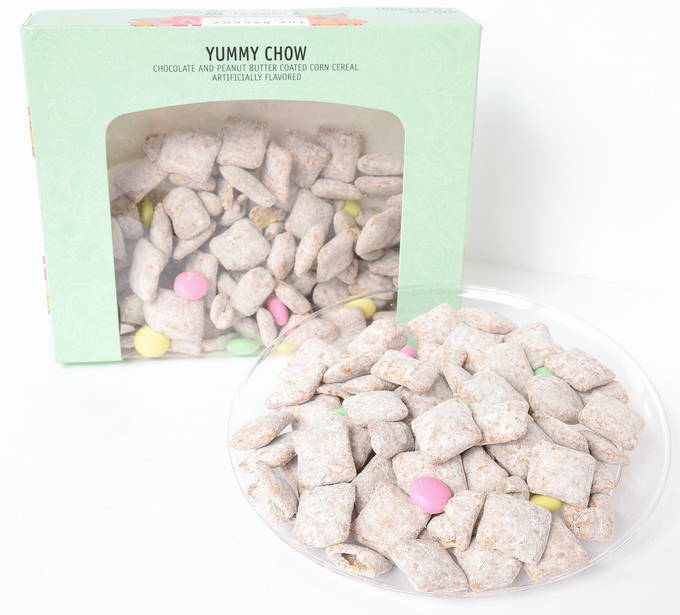 The chow tastes good, especially when you eat the squares and candies together. You can taste the powdered sugar, some peanut butter, and only a little chocolate. I’m missing some vanilla, butter, and more chocolate in the flavor. But, check the date on the package. Make sure they are fresh to get the best flavor and texture. Of course, you could make this cereal mixture at home. 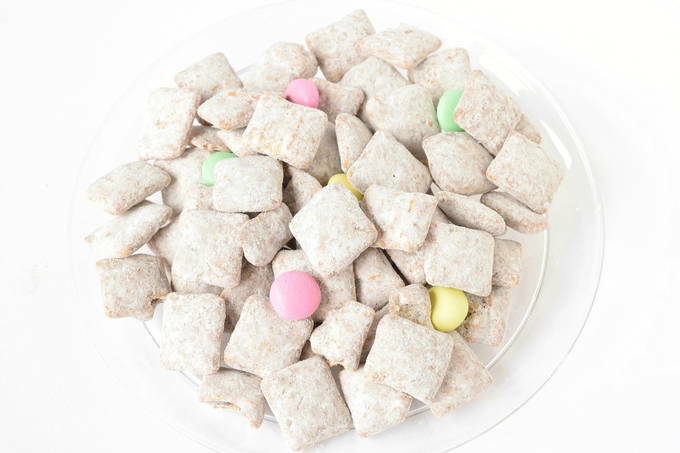 And then add pastel brand name candies, if you like. We often make this mix as a snack, so it was nice to taste Walmart’s version. If you want a quick finger snack for a spring party, then try this chow.